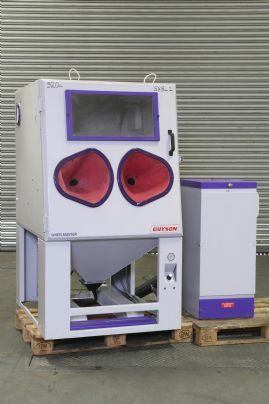 Guyson manual sand blasting equipment offers a faster alternative to labour intensive operations such as hand deburring, wire brushing, sanding, grinding and many others. 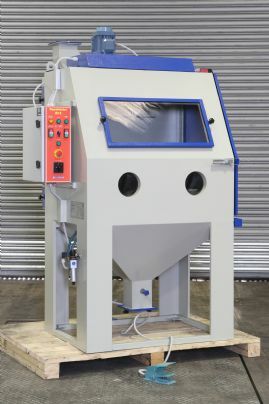 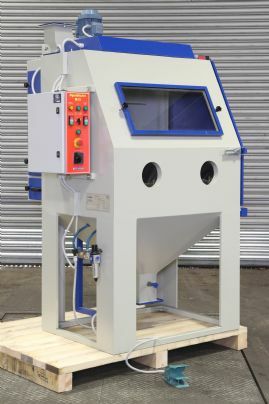 This blast cabinet has been specifically designed for shot blasting alloy wheels, and incorporates many application specific handling features that enable the operator to use this wheel blasting system safely, without heavy lifting. 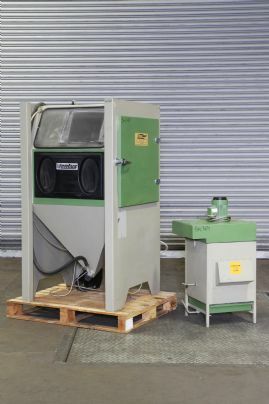 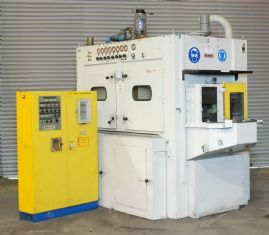 This second hand Rosler ST 1400 blast cabinet configured for the automatic processing of multiple jigged components, however can accommodate bulky, large or heavy components. 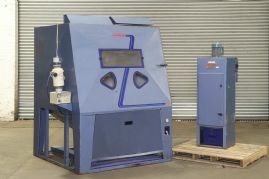 The cabinet is equipped with motorised rotating table upon which fixtures or jigs can be mounted to make this a semi automatic blasting machine. 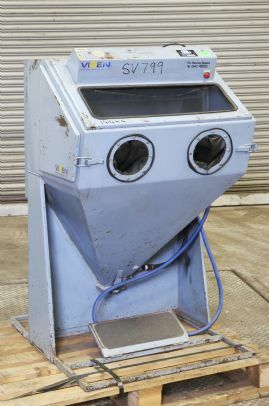 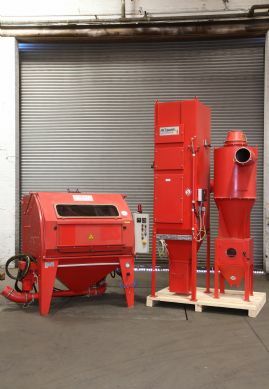 A second hand well made Wheelabrator Dry honer 24/24 self contained suction venturi feed grit blast cabinet. 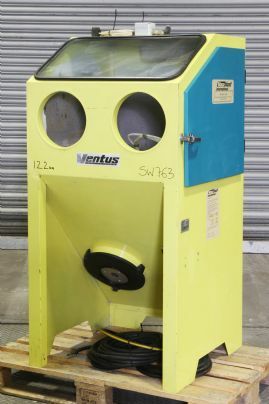 The Ventus 92S suction fed air blast cabinet has been designed specifically for production applications where a less aggressive surface treatment is required. 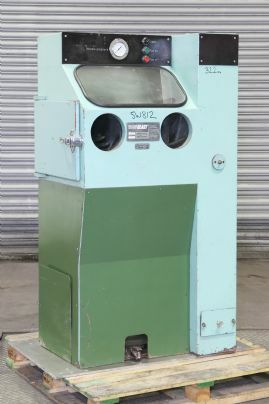 A well made second hand Vacublast, Ventus 72S self contained suction venturi fed shot blast cabinet. 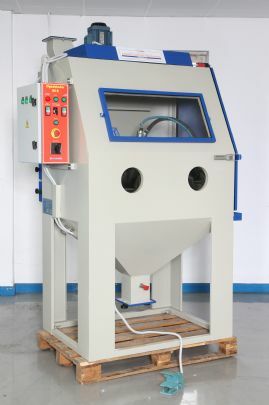 For manual light to medium blasting applications. 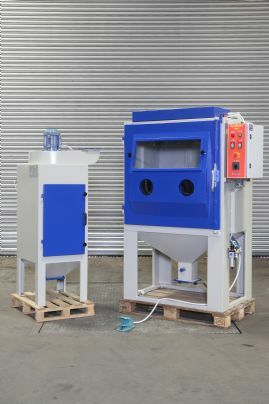 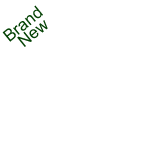 The Vixen Jetair Comfort is one of the top of the range from Vixen's industrial hand blast cabinets. 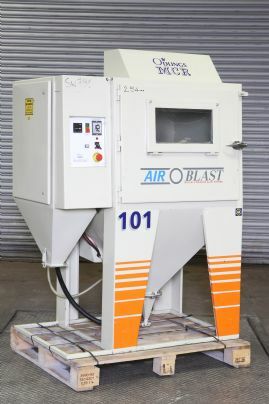 This pre owned Remak SMU 20 Multiblast, offers the first step on the blast finishing automation ladder, and is ideal for micro component manufacturers wanting to produce an accurate, consistent and uniform precision finish or shot peen of small parts. 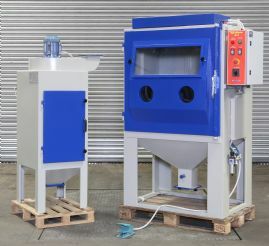 Oddlings MCR produce this 101T tumble dry blast cleaning cabinet to automatically blast clean or treat batches of small to medium-sized components with the minimum of operator assistance. 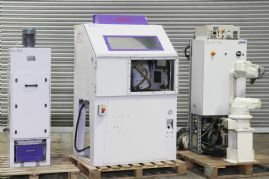 Guyson 6SF and Motorman HP3 robotic cell designed for High precision, repeatable surface finishing of small components. 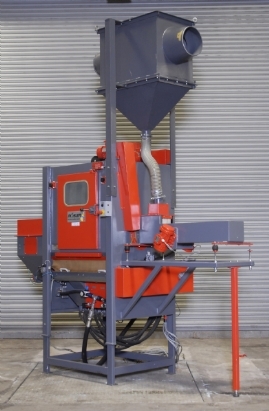 The SBI Injection Loop Belt machine is a continuous flow unit ideally suited for treating small, high volume bulk components.